Got to use instead of buying the throw away ones. Attached it to wet swifter. Picks up better. This is a great money-saving alternative to using disposable mop head covers. 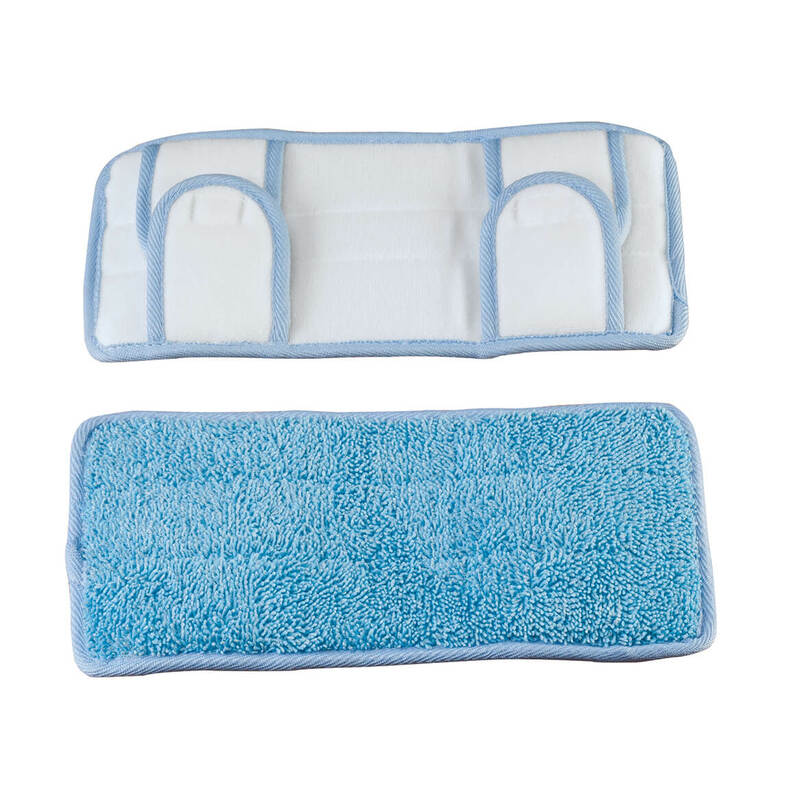 The Velcro overlaps to make the mop cover fit securely then they can be washed and reused. Was just as pictured. Happy with the product. 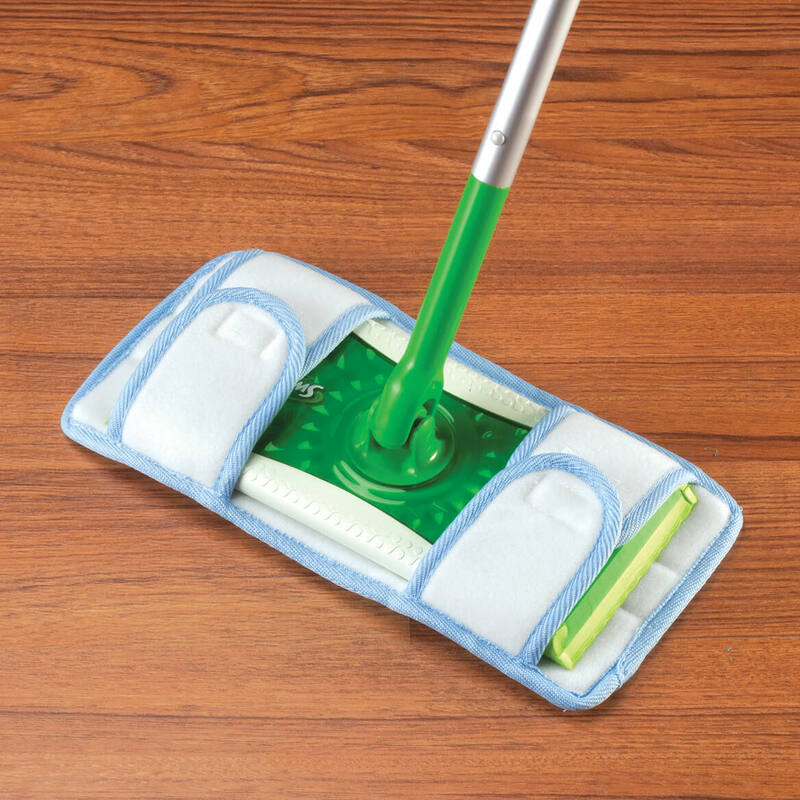 I use this Mop Pad over my swifter mop head. I am able to mop any surface with this mop cover. I would recommend purchasing extra covers. The reason being you may have a clean mop head to switch with your dirty mop head while mopping your floor. It was time consuming to remove the mop head cover, wring it out and reapply to continue moping. Easier to switch dirty mop cover with a clean mop cover The mop cover washes well. This is far better than the swiffer (saturated pads with the strong fragrance) - these are much stronger, clean better!! and wash well in the washer. I am buying more - will let several get dirty - then wash all 4 together - saving time and money. Hope to save money on swifter cloths. They work well on swifter mop but not on the swifter small vacuum. They are too thick and stop the vacuum from being close to the floor to pick up dirt. these are ok...too small for my mop set up...had to use both of them on one mop....i had to put both on same one..
To use on my kitchen floor. I spend a lot of money on Swiffer pads and figured I'd give this a try. These are so handy to use with my Swiffer handles. I have lots of dogs, including old and puppies, so the ability to change mop covers comes in really handy. It looks like it would save money. I want to try it . Because they are cloth, I can launder them and use them over and over on the Swiffer style mop form which I love! They are so convenient and easy to put onto the mop! And the price is reasonable. I have a wet jet swifter and also the original swifter---getting tired of buying new pads all the time----I think these will work. I like this item because they are washable and appear to easily attach and detach from the mop - should work well! Better than buying throw away pads all the time. dirty floors need a quick mop.